Ownership: GI Partners does not own the building. One Wilshire is an iconic building in downtown Los Angeles. 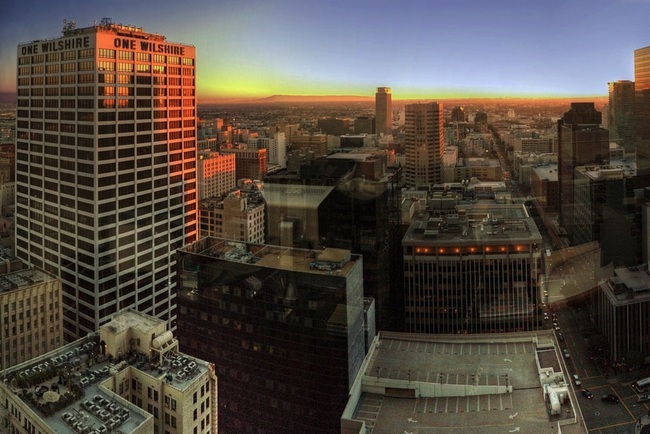 The 30 story building is easy to spot on the LA skyline with a giant "One Wilshire" sign at the top of the building. One Wilshire is the center of Telecom and Internet Interconnection in Los Angeles and the greater West Coast of the US. For the last 20 years, networks have congregated in the building to exchange traffic. CoreSite's Any2 IXP (Peering Exchange) is the largest public IXP in the Western United States. The building is a network gateway to Asia with almost all major Asian carriers colocated in One Wilshire. In addition, several transpacific cables are extended to the building. Including the Unity Trans-Pacific submarine cable, which provides undersea connectivity to Asia. In 2017 CoreSite announced that the SEA-US Transpacific Cable System will land in LA1. The cable stretches from Los Angeles to Indonesia, Philippines, Guam, and Honolulu. 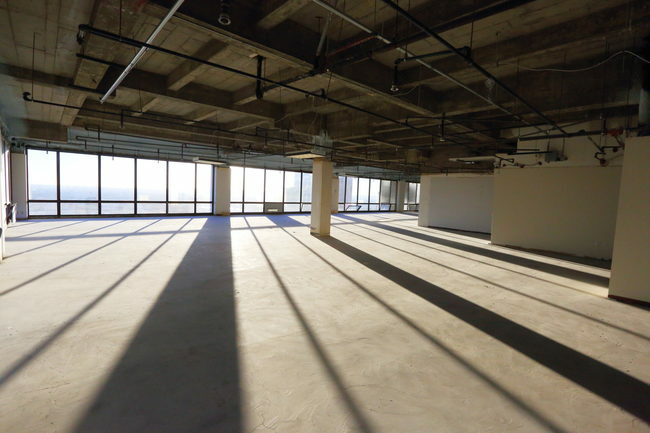 Over the last 10 years Digital Realty Trust's 600 West 7th building has been gaining Interconnection marketshare in Los Angeles with the help of Equinix who is also colocated in 600 W 7th. CoreSite LA1 is the largest tenant in the building. GI Partners, the building's owner, states that the building can be expanded to a total of 49MWs. Wilcon operates in suites 305, 1202, 1600, 1611, 2805 and in a cage on the 4th floor MMR. How Did OW Get Its Name? 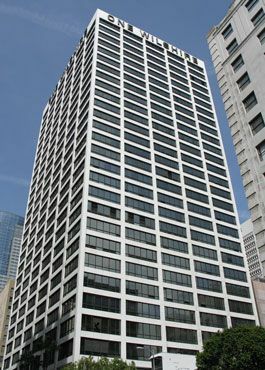 Despite the 624 S Grand Ave address, the building took on the name of One Wilshire because the building is located at the eastern start of Wilshire Blvd. 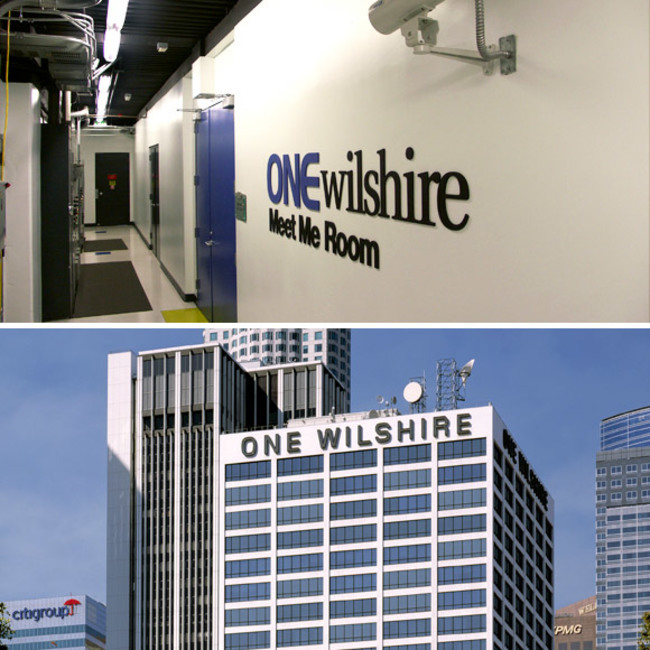 Note, the building's name is "One Wilshire", not "1 Wilshire Blvd". It was built in 1966 as a standard office building. 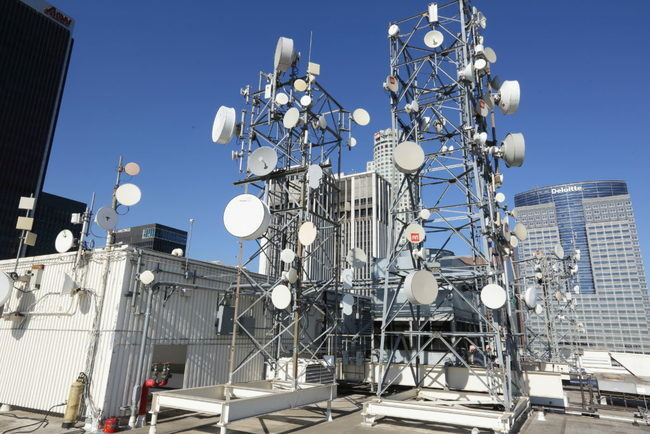 In 1990s the location became popular with competitive telecommunication companies who needed a location close to the PacBell/AT&T Switching Center at 420 S Grand. In 2001 the Carlyle Group bought the building for $119 million. Carlyle operated the data center under the name CRG West until 2007 when it sold the building to Hines Real Estate Investment Trust for $287 million. Then in 2013 GI partners acquired the building for $437.65 million.